Just picked this up last weekend and I love it , Im over here in Australia and have a Buell as well , I wanted something a bit more reliable and found this off a bike mechanic with only 3000k's on it ( bout 1500 miles I think ) , I absolutely love it . also nice color an seems in mint condition. I'm sure you will enjoy the bike. Nice find. 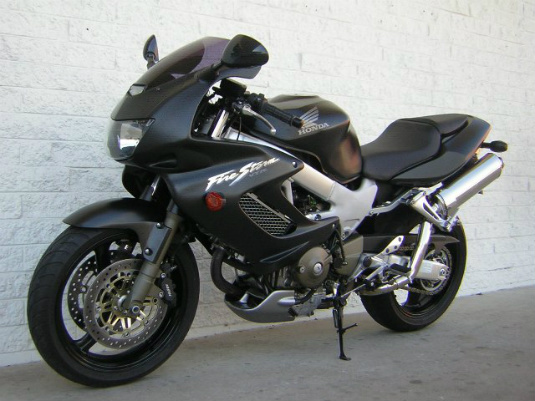 You may find that you're not riding your Buell much once you get used to the Hawk, lol. Quick Reply: My new 2005 .